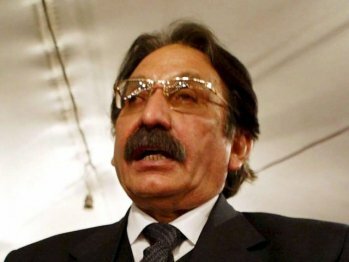 ISLAMABAD: The Chief Justice of Pakistan (CJP) Iftikhar Muhammad Chaudhry on Wednesday received a letter purportedly written by Prince Bandar Bin Khalid Bin Abdul Aziz Al-Saud, alleging that substandard accommodation on exorbitant rates was provided to the haj pilgrims of Pakistan in Makkah by the Religious Affairs Ministry. The letter said hired buildings were 3.5 kilometres away from the holy mosque (haram-e-Ka’aba) in Makkah, despite the fact that he (the prince) had offered buildings closer to the haram to the government of Pakistan at cheap rates. Accordingly, comments were received from the Religious Affairs Ministry. Upon receiving the comments, the CJP ordered that a copy of the comments be sent to the Foreign Affairs Ministry to look into the matter in continuation of his earlier order. “Let the Foreign Office take up this matter at a government-to-government level,” the CJP said. The letter contended that the Pakistani Hujjaj Committee rejected a Saudi offer regarding residences for 35,000 pilgrims for 3,350 riyals that were just two kilometers away from haram and the government had committed for lodgings costing at 3,400 to 3,600 riyals. The letter contended that contrary to the Saudi offer, Pakistani authorities opted for expensive accommodations for their pilgrims just to bag huge profits. The letter stated that the chosen places for accommodation for pilgrims were much farther away from the haram than those offered by the prince for 3,600 riyals. Meanwhile, the Religious Affairs Ministry has termed the letter fake, with ministry’s Secretary Agha Sarwar Qazilbash saying that there was a mafia operating in the Kingdom of Saudi Arabia, which could be involved in the letter writing. The secretary said the accommodations had been availed at rent worth 1,400 to 1,600 riyals, instead of earlier accommodations which were taken on rent at 2,500 riyals. He said pilgrims were being refunded the amount which was in surplus of the accommodations’ rates.